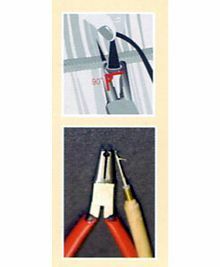 EZ Tool for EZ Weft™ Weaving System. - EZ Weft hair sold separately! EZ Weft Hair Sold separately. length and cut the weft. and pierce through the weft.